But for too many people, these are the thoughts that consume their time. These are the unmet needs keeping them from reaching their full potential for health and wellbeing. And these are just the physiological needs for air, water, food, rest, and shelter. Still more communities struggle to fulfill Maslow’s next level of need, Safety and Security. 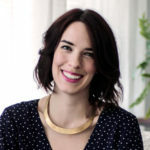 These needs include living in a violence-free place; having a steady, living wage; a stable home; and affordable health care—all of which are social determinants of health (SDOH). No wonder we’re a nation of lonely, stressed out people. 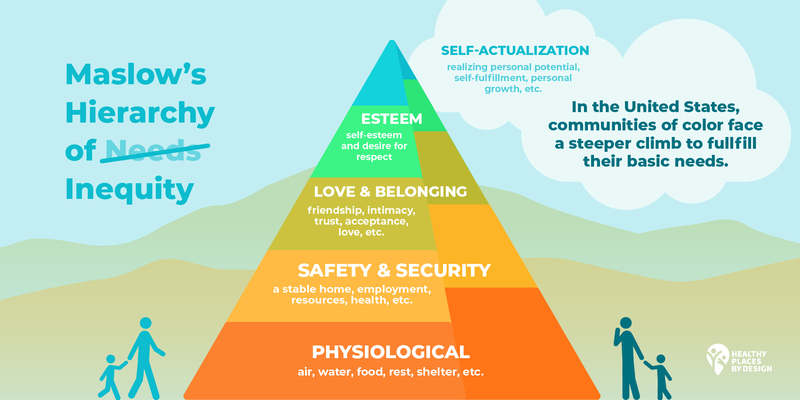 When our basic physical and safety needs aren’t met, we can’t focus on higher-level needs like love, belonging, self-esteem, and self-actualization. That we, living in the wealthiest nation on earth, haven’t figured out how to make existing systems meet the basic needs of our neighbors is a concern; that these systems are also designed—sometimes inadvertently, but often intentionally—to benefit one race over others is an injustice. At the foundational levels of Maslow’s hierarchy, racial inequities persist. Air. Water. Food. And, as the 2019 County Health Rankings show in detail, there are racial disparities in housing trends. Inequities continue up the hierarchy, as well: Exposure to violence. Childhood trauma. Income. Educational attainment. Put bluntly, Maslow’s Hierarchy of Needs is not a symmetrical pyramid. Whether we look at health outcomes through the lens of Maslow’s Hierarchy, SDOH, or any other framework for sorting society’s systems, a common thread of historic—and too often, current—racial discrimination runs through them. This is why it is so important that community health initiatives focus on health equity regardless of the type of policy, systems, or environmental change strategies they implement.  Practicing a health equity focus begins by acknowledging that health inequities are avoidable and unjust, and that addressing them must be a priority for community change strategies. This means focusing on the needs of people who often experience great disparities. It also means working alongside community members, with their priorities as a guide, to change the systems, power imbalances, and processes of exclusion that perpetuate those disparities, no matter how uncomfortable it gets.